A new Laboratory for reliability tests of automotive components was inaugurated on 5th July at the Powertrain plant in Bologna. The Laboratory is one of the best examples on an international level in terms of the quantity of technologically advanced equipment and the ability to carry out combined simultaneous tests in accelerated mode. Such characteristics make the Laboratory able to simultaneously meet the validation specifi cations of different customers and the need to carry out tests on a wide range of products: from the smaller ones, such as GDI injectors, to the larger and more complex ones, such as dual clutch transmissions, also including advanced technology components for electric engines, such as electric motor-generators and inverters. The tests can simulate the actual utilization conditions of components at the test bench, which means that all the stress peaks that a component undergoes throughout the entire life of the vehicle can be concentrated in just a few hours. 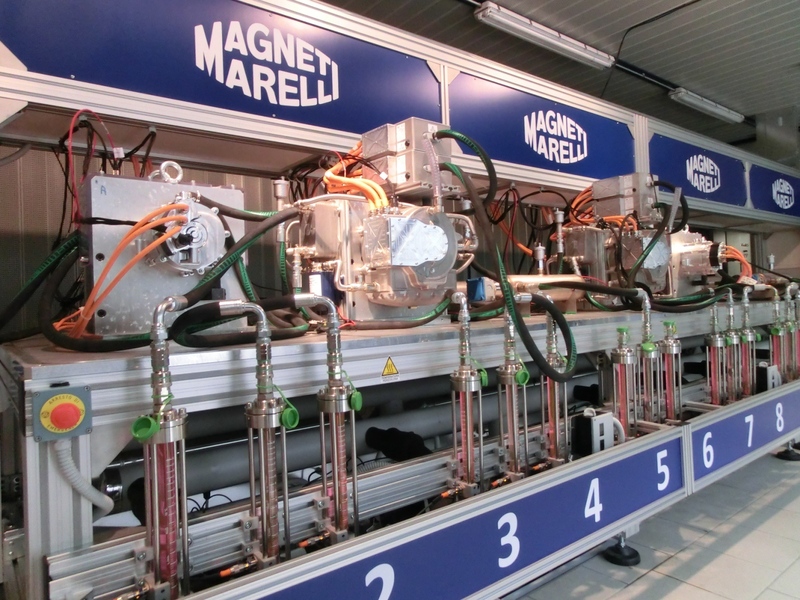 “Guaranteeing customers higher and higher reliability and quality levels is an unavoidable commitment and a necessary condition if one wants to continue being competitive, especially on the automotive market” – stated Eugenio Razelli, CEO of Magneti Marelli.